See a companion website for the book. In the nineteenth century, Americans began to use maps in radically new ways. For the first time, medical men mapped diseases to understand and prevent epidemics, natural scientists mapped climate and rainfall to uncover weather patterns, educators mapped the past to foster national loyalty among students, and Northerners mapped slavery to assess the power of the South. After the Civil War, federal agencies embraced statistical and thematic mapping in order to profile the ethnic, racial, economic, moral, and physical attributes of a reunified nation. By the end of the century, Congress had authorized a national archive of maps, an explicit recognition that old maps were not relics to be discarded but unique records of the nation’s past. All of these experiments involved the realization that maps were not just illustrations of data, but visual tools that were uniquely equipped to convey complex ideas and information. In Mapping the Nation, Susan Schulten charts how maps of epidemic disease, slavery, census statistics, the environment, and the past demonstrated the analytical potential of cartography, and in the process transformed the very meaning of a map. Today, statistical and thematic maps are so ubiquitous that we take for granted that data will be arranged cartographically. Whether for urban planning, public health, marketing, or political strategy, maps have become everyday tools of social organization, governance, and economics. The world we inhabit—saturated with maps and graphic information—grew out of this sea change in spatial thought and representation in the nineteenth century, when Americans learned to see themselves and their nation in new dimensions. "Susan Schulten’s Mapping the Nation is physically attractive, based on sound scholarly work yet accessibly written, and effectively supplemented by a user-friendly website offering a good selection of high-resolution images of historical maps and charts." "In this innovative book Susan Schulten makes a compelling case for maps as both symbolic and material representations of change in the ways Americans viewed their nation, its past, and its potential for development. In conjunction with its companion website (www.mappingthenation.com), Schulten’s book reveals the power of maps to shape history, policy, and national identity." 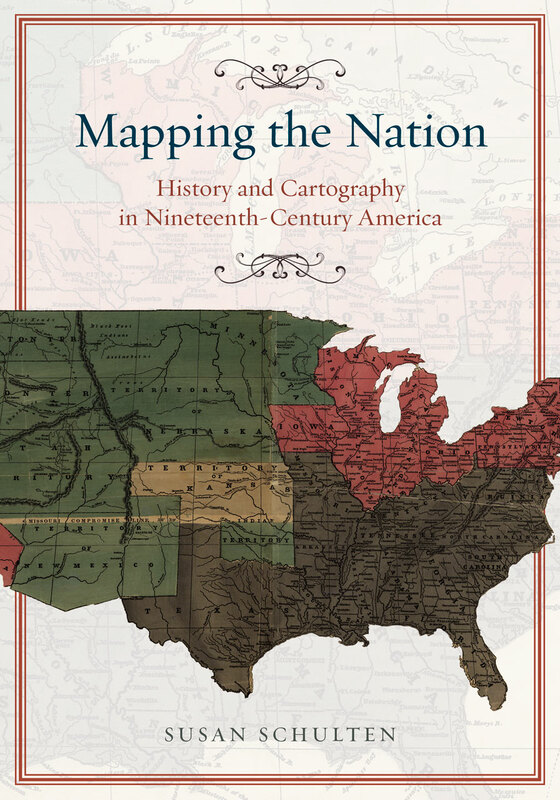 "Mapping the Nation is essential reading."